MICHELIN X TWEEL SSL Hard Surface and MICHELIN X TWEEL SSL All Terrain. MICHELIN Tweel Technologies has announced that Value Tire will join the MICHELIN X TWEEL SSL dealer network, expanding dealer coverage and support for the MICHELIN 12N16.5 X TWEEL SSL All Terrain and Hard Surface skid steer airless radial tire in Saskatchewan. Value Tire offers farm, winter and automotive tires as well as a complete range of services, such as repairs, inspection and alignments by 26 trained technicians — including 13 who are TIA-certified. Value Tire provides professional service to customers with MICHELIN, BFGoodrich and UNIROYAL products that include agricultural, construction, medium truck, winter and passenger/light-truck tires. The third-generation family-owned business operates three commercial/retail locations in Saskatoon, Regina and Yorkton. 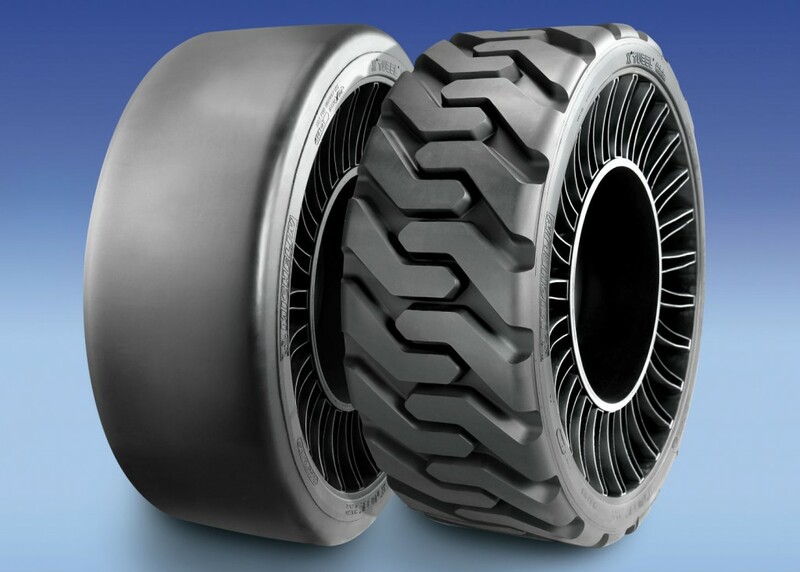 The X TWEEL SSL is Michelin’s highly advanced airless radial tire designed for skid steer loaders. As the only commercial product available to offer the advantages of no maintenance, no compromise and no downtime — the X TWEEL SSL requires no air, thereby eliminating the risk of a "flat tire." The X TWEEL SSL also provides industrial, construction, agricultural and landscape users the advantages of no air-pressure maintenance, easy mounting, damage resistance, increased operator comfort, reduced operator fatigue and improved productivity. “After a 23-year partnership with Michelin, Value Tire is honored to be a part of a very exclusive network of dealers offering the award-winning MICHELIN X TWEEL SSL All Terrain and Hard Surface products to farmers, construction, industrial and landscape operators who use skid steers and experience numerous flat tires during their operations,” said John Den Brok, owner of Value Tire.